Remarkable, Rewarding Summer Camp FUN! Pierce summers are awesome and action-packed! 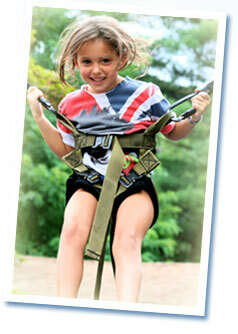 In Pierce’s exhilarating adventure program campers bounce, zoom, jump, climb and zip their way to FUN! Pierce has an incredible line-up of innovative adventure activities. Through this curriculum campers take on new challenges and satisfy their appetite for thrills. Pierce uses state-of-the-art equipment to provide authentic, safe experiences. Our highly-trained adventure Specialists ensure maximum safety at all times. Campers participate at their own comfort level in our non-competitive environment. Pierce adventure programs are truly FUNbelievable!! !